In 2016, I wrote a series of three articles published in the Minnesota Genealogist regarding my 2GG Fred A. King (1857-1920).1)Steven Nelson Jonnes, “Searching for the Parents of Fred A. King of Saginaw, Michigan,” Minnesota Genealogist, 47:1 (Spring 2016): 6-11; Steven Nelson Jonnes, “Fred A. King: Early Entrepreneur and Politician in Northern Minnesota,” Minnesota Genealogist, 47:2 (Summer 2016): 9-21; Steven Nelson Jonnes, “The Missing Cottage on Star Island: Fred A. King Converts Louis W. Hill Houseboat,” Minnesota Genealogist, 47:3 (Fall 2016): 16-29. Fred was born and raised in Saginaw, Michigan and was a politician there in young adulthood, but moved to Grand Rapids, Minnesota in 1891 where he opened a real estate titling company. In 1912, he was appointed U.S. Land Office Receiver in Cass Lake, Minnesota. He died in 1920, age 63. In the first article, I established that Fred’s father was Stephen W. King (1824-1865). 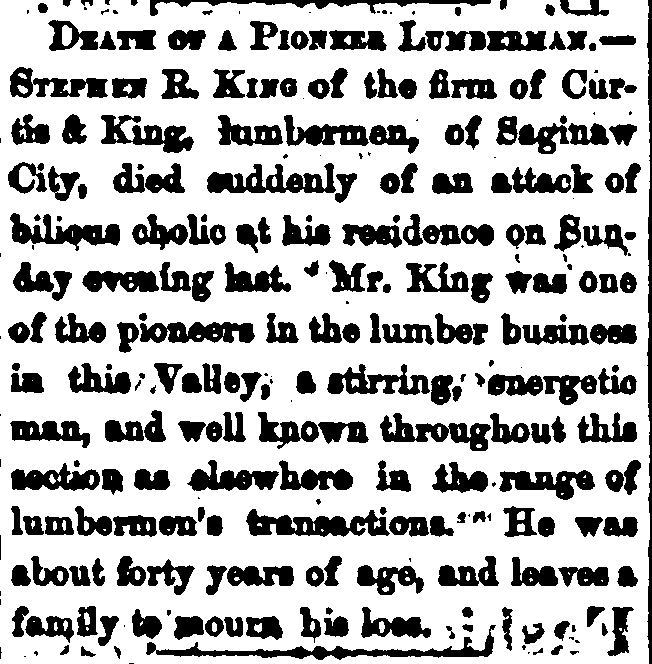 Stephen made a fortune as a lumber merchant in Saginaw, Michigan during the 1850s and 1860s, but died rather suddenly in 1865 at the age of 41.2)Jonnes, “Searching for the Parents of Fred A. King,” 7-9. His obituary may be seen below, albeit with an incorrect middle initial. Later, I was able to identify Fred’s mother as Rose Ann Green (1827-1869), from Redford, Michigan, as well as her parents, Benjamin Green (1786-1853) and Elizabeth Ellsworth (1797-1861).3)“Michigan, County Marriages, 1820-1940,” database with images, FamilySearch (https://familysearch.org : accessed 4 March 2018), Stephen W. King and Rose Ann Green, 11 May 1846, Redford, Wayne, Michigan; citing reference ID p243 cn 1575, various archives, Michigan; FHL microfilm 1,377,619. 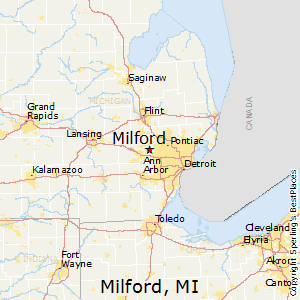 1850 Stephen King – Milford, Oakland, Michigan, wool carder, age 26, born Ohio4)1850 U.S. Census, Oakland County, Michigan, population schedule, Milford Township, p. 274B, family 1499, Stephen King; digital image, FamilySearch (https://familysearch.org : accessed 2 March 2018), citing NARA microfilm publication M432, roll 360. 1860 Stephen Kinny – Saginaw, Saginaw, Michigan, lumberman, age 35, born Ohio5)1860 U.S. Census, Saginaw County, Michigan, population schedule, Saginaw City, p. 97, dwelling 739, family 707, Stephen Kinny; digital image, FamilySearch (https://familysearch.org : accessed 2 March 2018), citing NARA microfilm publication M653, roll 558. Both enumerations agree that Stephen W. King was born in Ohio about 1824. This is corroborated by his 1846 marriage6)“Michigan, County Marriages, 1820-1940,” database with images, FamilySearch, Stephen W. King and Rose Ann Green, 11 May 1846, Redford, Wayne, Michigan. and 1863 Civil War registration.7)“U.S., Civil War Draft Registrations Records, 1863-1865,” State of Michigan, Sixth Congressional District, Saginaw Ward 3, Stephen W. King; digital image, Ancestry.com; citing ARC identifier 4213514. The King surname is obviously a challenge given its prevalence. 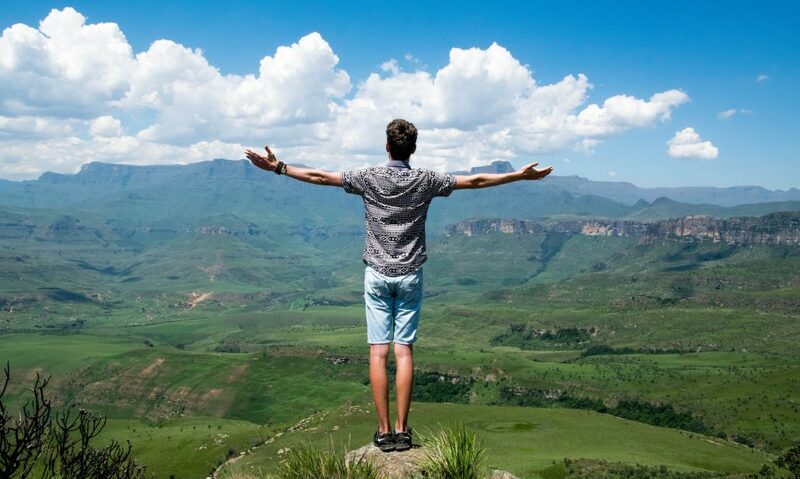 Stephen would have been enumerated in the 1840 U.S. census as a male aged 15-19, but in Ohio alone there are 600 King head-of-household entries, dozens of which include males aged 15-19. So where do we start? Since Stephen was living in Milford, Michigan in 1850, were there other Kings nearby with whom he may have been related? In my 2016 article, I speculated that two teenage girls enumerated in Milford could be his sisters.8)Jonnes, “Searching for the Parents of Fred A. King,” 11. Mary King and Helen King, ages 18 and 15, may be viewed in the George Davis household, seen below.9)1850 U.S. Census, Oakland County, Michigan, population schedule, Milford Township, family 1537, Helen King and Mary King in household of George Davis; digital image, FamilySearch (https://familysearch.org : accessed 5 March 2018), citing NARA microfilm publication M432, roll 360. Like Stephen, both were born in Ohio, and their first names resonated with meaning since Stephen named his first-born child Mary Helen King (1847-1907). The surmise was accurate. Mary Eliza King (1832-1920) and Helen Louise King (1836-1903) were Stephen’s sisters. Mary was born 5 August 1932 in Ohio.10)1900 U.S. Census, Leavenworth County, Kansas, population schedule, Leavenworth City Ward 2, ED 93, sheet 3B, line 77, family 104, Mary K. Richardson; digital image, FamilySearch (https://familysearch.org : accessed 18 March 2018), citing NARA microfilm publication T623, roll 486. She married Jason Powers Richardson (1822-1882) in Pontiac, Oakland, Michigan on 2 August 185511)“Michigan, County Marriages, 1820-1940,” database with images, FamilySearch (https://familysearch.org : accessed 7 March 2018), Jason Richardson and Mary E. King, 2 August 1855, Pontiac, Oakland, Michigan; citing reference ID 0341, various archives, Michigan; FHL microfilm 973,980. and immediately settled in Leavenworth, Kansas. Helen was born 1 February 1836 in Ohio.12)Michigan, Department of State, Lansing, Vital Statistics Division, Certificate and Record of Death no. 400 (1903), Helen L. Terry; digital images, “Michigan, Death Records, 1867-1950,” Ancestry (https://ancestry.com : accessed 1 March 2018). She married Arthur Wellington Terry (1834-1886) in Saginaw, Michigan in 1855, where they raised a family and eventually died.13)“Old Resident Dead: Mrs. Helen L. Terry Died at the Home of her Son, H.K. Terry, This Afternoon,” obituary, Saginaw News, 18 August 1903, p. 9, col. 2; digital image, GenealogyBank (https://www.genealogybank.com : accessed 22 March 2018), Newspaper Archives. She moved to Michigan with her parents when eight years old, where she first resided in Milford, and then moved to Saginaw when 15 years old.15)Ibid. This information indicates that the King family, including siblings Stephen, Mary, and Helen moved from Ohio to Michigan in 1844. I suspect the father at least died before 1850. Otherwise, why would the two teenage girls be living in Milford, Michigan with the George Davis household in 1850 rather than their head-of-household father? Let’s look at the Davis family more closely. The 1850 enumeration shows George Davis, clothier, age 46, heading a family of 8 members. Almira Davis, his wife, age 32, and all three children – Henry, Abigail, and William – were born in Ohio. Per the ages of the children, the family left Ohio no earlier than 1843. So, why were Mary and Helen King living in this particular household? Could Almira have been their older sister? The answer is yes. The death record for Almira’s first-born son, Henry King Davis (1840-1908) provides his mother’s maiden name as Elmira King.16)Michigan, Department of State, Lansing, Vital Statistics Division, Certificate and Record of Death no. 1104 (1908), Henry K. Davis; digital images, “Michigan, Death Records, 1867-1950,” Ancestry (https://ancestry.com : accessed 24 March 2018). I also found her marriage record. Almyra King married George Davis in Medina County, Ohio on 31 March 1834.17)“Ohio, County Marriages, 1789-1923,” database with images, FamilySearch (https://familysearch.org : accessed 11 March 2018), George Davis and Almyra King, 31 March 1834, Medina County, Ohio; citing reference 104; county courthouses, Ohio; FHL microfilm 423,817. Unfortunately, Almira King died young, passing away on 27 April 1861 in Milford.18)“Find A Grave Index,” database, FamilySearch (https://familysearch.org : accessed 20 March 2018), Almira Davis, 1861; Burial, Milford, Oakland, Michigan, Oak Grove Cemetery; citing record ID 91165127, Find a Grave, http://www.findagrave.com. She was 43 years and 8 months old at death, which calculates to a birth in August 1817. Unlike her three siblings, she never moved to Saginaw. It is suggestive that Almira’s husband, George Davis, was a clothier in Milford, Michigan in 1850 while Stephen W. King’s occupation there was “wool carder.” Stephen may have been working for his brother-in-law in Milford prior to moving to Saginaw. Let us focus on Medina County, Ohio, where we know Almira King was married, and search for a King head-of-household in the 1820, 1830, and 1840 U.S. censuses that would match the age ranges of these four siblings. Given the large gap in time between their births, there could be other offspring. The 1830 U.S. Census reveals a possible match.19)1830 U.S. Census, Medina County, Ohio, population schedule, Hinckley Township, p. 228, Henry King; digital image, FamilySearch (https://familysearch.org : accessed 9 March 2018), citing NARA microfilm publication M19, roll 135. Henry King, aged 30-39, is enumerated in Hinckley Township, Medina, Ohio, heading a family of six. If this is the right family, there were two additional daughters. Hinckley is south of Cleveland and northwest of Akron, Ohio. However, there are no Henry Kings enumerated in Medina County, Ohio in either the 1820 or 1840 federal censuses. When the search is expanded to all of Ohio in 1840, a promising match appears. A Henry King family of seven is enumerated in Lawrence Township, Stark, Ohio in the 1840 census.20)1840 U.S. Census, Stark County, Ohio, population schedule, Lawrence Township, p. 151, Henry King; digital image, FamilySearch (https://familysearch.org : accessed 9 March 2018), citing NARA microfilm publication M704, roll 427. These ages are precisely the same as the 1830 census enumeration, once you add 10 years – and they accurately capture the births of Mary and Helen in 1832 and 1836, respectively. Almira’s absence is explained by the fact that she had already married George Davis. Going back to 1820, a search of all Henry Kings in Ohio revealed a further potential match. A Henry King, age 26-44, headed a family of four in Northampton Township, Portage, Ohio.21)1820 U.S. Census, Portage County, Ohio, population schedule, Northampton Township, p. 45, Henry King; digital image, FamilySearch (https://familysearch.org : accessed 9 March 2018), citing NARA microfilm publication M33, roll 95. The ages again match perfectly. Although these census enumerations are in three separate counties of Ohio, the locations are actually quite close. Hinckley Township is about 15 – 25 miles west of the area where Northampton Township used to exist in then-Portage, now Summit County. Lawrence Township is only about 20 – 40 miles south of Hinckley, depending on where their farms may have been located. Cross-referencing the age ranges in these three enumerations generates a birth year for Henry King between 1791 – 1794. In searching marriage records, one potential match appears. Henry King and Jane Dunlap were married on 10 September 1816 in Portage County, Ohio.22)“Ohio, County Marriages, 1789-2013,” database with images, FamilySearch (https://familysearch.org : accessed 12 March 2018), Henry King and Jane Dunlap, 10 September 1816, Portage County, Ohio, reference ID 65; county courthouses, Ohio; FHL microfilm 891,357. No ages or parentage information is given. Nonetheless, both the 1816 marriage record and 1820 U.S. census enumeration are situated in Portage County, Ohio. The presumed first-born child, Almira King, was born August 1817, eleven months after the date of this marriage record, which conveniently fits. The death records for Mary and Helen provide additional information about their parents. Mary K. Richardson‘s lists her father as Henry King, born New York, with no information about the mother.23)Kansas, State Board of Health – Division of Vital Statistics, Standard Certificate of Death no. 252-2702 (1920), Mary K. Richardson; database online, “Leavenworth , Kansas Death Index, 1870-1920,” Ancestry (https://ancestry.com – accessed 13 March 2018); image found in Wilcox Fisher family tree, John R. Wilcox owner. Helen L. Terry‘s death record identifies her parents as Samuel King, born New York, and Jane Hopkins, born Ohio.24)Michigan, Certificate of Death no. 400 (1903), Helen L. Terry. This gives us pause, but the informant was the undertaker, so it would be understandable if there were errors. Coincidentally or not, there is a Samuel King enumerated in Hinckley Township, Medina, Ohio in the 1830 U.S. census,25)1830 U.S. Census, Medina County, Ohio, population schedule, Hinckley Township, p. 227, Samuel Wing; digital image, FamilySearch (https://familysearch.org : accessed 23 March 2018), citing NARA microfilm publication M19, roll 135. and a Samuel King only two listings away from Henry King in the 1820 Portage County, Ohio enumeration.26)1820 U.S. Census, Portage Co., Ohio, pop. sch., p. 45, Henry King, Hezekiah King, Samuel King. Possibly they were brothers. In conclusion, there is a good possibility that the various pieces of information collected about Henry King represent the same man and that he is the father of Stephen W. King. However, there is insufficient evidence at this point to claim we have met the genealogical proof standard. Nothing concrete links the three Henry King federal census records in 1820, 1830, and 1840, which are in three separate albeit close locations. Nor can we be sure that the 1816 marriage record links to these either. There is also conflicting information about the identity of the mother. The marriage record says Jane Dunlap while presumed daughter Helen’s death certificate gives Jane Hopkins. Additional information is required to resolve these issues. Explore the Samuel King cited near Henry King in the 1820 and 1830 censuses. 1. ↑ Steven Nelson Jonnes, “Searching for the Parents of Fred A. King of Saginaw, Michigan,” Minnesota Genealogist, 47:1 (Spring 2016): 6-11; Steven Nelson Jonnes, “Fred A. King: Early Entrepreneur and Politician in Northern Minnesota,” Minnesota Genealogist, 47:2 (Summer 2016): 9-21; Steven Nelson Jonnes, “The Missing Cottage on Star Island: Fred A. King Converts Louis W. Hill Houseboat,” Minnesota Genealogist, 47:3 (Fall 2016): 16-29. 2. ↑ Jonnes, “Searching for the Parents of Fred A. King,” 7-9. 3. ↑ “Michigan, County Marriages, 1820-1940,” database with images, FamilySearch (https://familysearch.org : accessed 4 March 2018), Stephen W. King and Rose Ann Green, 11 May 1846, Redford, Wayne, Michigan; citing reference ID p243 cn 1575, various archives, Michigan; FHL microfilm 1,377,619. 4. ↑ 1850 U.S. Census, Oakland County, Michigan, population schedule, Milford Township, p. 274B, family 1499, Stephen King; digital image, FamilySearch (https://familysearch.org : accessed 2 March 2018), citing NARA microfilm publication M432, roll 360. 5. ↑ 1860 U.S. Census, Saginaw County, Michigan, population schedule, Saginaw City, p. 97, dwelling 739, family 707, Stephen Kinny; digital image, FamilySearch (https://familysearch.org : accessed 2 March 2018), citing NARA microfilm publication M653, roll 558. 6. ↑ “Michigan, County Marriages, 1820-1940,” database with images, FamilySearch, Stephen W. King and Rose Ann Green, 11 May 1846, Redford, Wayne, Michigan. 7. ↑ “U.S., Civil War Draft Registrations Records, 1863-1865,” State of Michigan, Sixth Congressional District, Saginaw Ward 3, Stephen W. King; digital image, Ancestry.com; citing ARC identifier 4213514. 8. ↑ Jonnes, “Searching for the Parents of Fred A. King,” 11. 9. ↑ 1850 U.S. Census, Oakland County, Michigan, population schedule, Milford Township, family 1537, Helen King and Mary King in household of George Davis; digital image, FamilySearch (https://familysearch.org : accessed 5 March 2018), citing NARA microfilm publication M432, roll 360. 10. ↑ 1900 U.S. Census, Leavenworth County, Kansas, population schedule, Leavenworth City Ward 2, ED 93, sheet 3B, line 77, family 104, Mary K. Richardson; digital image, FamilySearch (https://familysearch.org : accessed 18 March 2018), citing NARA microfilm publication T623, roll 486. 11. ↑ “Michigan, County Marriages, 1820-1940,” database with images, FamilySearch (https://familysearch.org : accessed 7 March 2018), Jason Richardson and Mary E. King, 2 August 1855, Pontiac, Oakland, Michigan; citing reference ID 0341, various archives, Michigan; FHL microfilm 973,980. 12. ↑ Michigan, Department of State, Lansing, Vital Statistics Division, Certificate and Record of Death no. 400 (1903), Helen L. Terry; digital images, “Michigan, Death Records, 1867-1950,” Ancestry (https://ancestry.com : accessed 1 March 2018). 13. ↑ “Old Resident Dead: Mrs. Helen L. Terry Died at the Home of her Son, H.K. Terry, This Afternoon,” obituary, Saginaw News, 18 August 1903, p. 9, col. 2; digital image, GenealogyBank (https://www.genealogybank.com : accessed 22 March 2018), Newspaper Archives. 14. 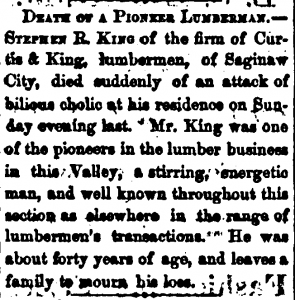 ↑ “Old Resident Dead,” obituary, Saginaw News, 18 August 1903. 16. ↑ Michigan, Department of State, Lansing, Vital Statistics Division, Certificate and Record of Death no. 1104 (1908), Henry K. Davis; digital images, “Michigan, Death Records, 1867-1950,” Ancestry (https://ancestry.com : accessed 24 March 2018). 17. ↑ “Ohio, County Marriages, 1789-1923,” database with images, FamilySearch (https://familysearch.org : accessed 11 March 2018), George Davis and Almyra King, 31 March 1834, Medina County, Ohio; citing reference 104; county courthouses, Ohio; FHL microfilm 423,817. 18. ↑ “Find A Grave Index,” database, FamilySearch (https://familysearch.org : accessed 20 March 2018), Almira Davis, 1861; Burial, Milford, Oakland, Michigan, Oak Grove Cemetery; citing record ID 91165127, Find a Grave, http://www.findagrave.com. 19. ↑ 1830 U.S. Census, Medina County, Ohio, population schedule, Hinckley Township, p. 228, Henry King; digital image, FamilySearch (https://familysearch.org : accessed 9 March 2018), citing NARA microfilm publication M19, roll 135. 20. ↑ 1840 U.S. Census, Stark County, Ohio, population schedule, Lawrence Township, p. 151, Henry King; digital image, FamilySearch (https://familysearch.org : accessed 9 March 2018), citing NARA microfilm publication M704, roll 427. 21. ↑ 1820 U.S. Census, Portage County, Ohio, population schedule, Northampton Township, p. 45, Henry King; digital image, FamilySearch (https://familysearch.org : accessed 9 March 2018), citing NARA microfilm publication M33, roll 95. 22. ↑ “Ohio, County Marriages, 1789-2013,” database with images, FamilySearch (https://familysearch.org : accessed 12 March 2018), Henry King and Jane Dunlap, 10 September 1816, Portage County, Ohio, reference ID 65; county courthouses, Ohio; FHL microfilm 891,357. 23. ↑ Kansas, State Board of Health – Division of Vital Statistics, Standard Certificate of Death no. 252-2702 (1920), Mary K. Richardson; database online, “Leavenworth , Kansas Death Index, 1870-1920,” Ancestry (https://ancestry.com – accessed 13 March 2018); image found in Wilcox Fisher family tree, John R. Wilcox owner. 24. ↑ Michigan, Certificate of Death no. 400 (1903), Helen L. Terry. 25. ↑ 1830 U.S. Census, Medina County, Ohio, population schedule, Hinckley Township, p. 227, Samuel Wing; digital image, FamilySearch (https://familysearch.org : accessed 23 March 2018), citing NARA microfilm publication M19, roll 135. 26. ↑ 1820 U.S. Census, Portage Co., Ohio, pop. sch., p. 45, Henry King, Hezekiah King, Samuel King.